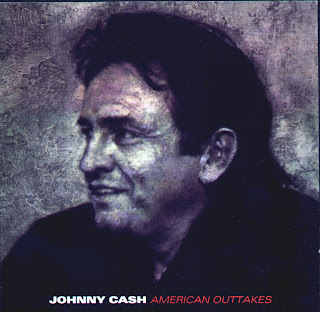 Johnny Cash - American Outtakes 1993. Johnny Cash was approached in 1993 by producer Rick Rubin and offered a contract with Rubin's American Recordings label, better known for rap and heavy metal than for country music. Under Rick Rubin's supervision, Johnny Cash recorded the album 'American Recordings' in Rick's living room, accompanied only by his guitar. For years Cash was often at odds with his producers after he had discovered with his first producer, Sam Phillips, that his voice was better suited to a stripped down musical style. Most famously he disagreed with Jack Clement over his sound, Clement having tried to give Cash's songs a "twangy" feel and to add strings and barbershop-quartet-style singers. His successful collaboration with Rick Rubin was in part due to Rubin seeking a minimalist sound for his songs. plus from a separate source in Nero music files. Comments: These out take recordings are reported to have taken place between the 17th and 20th May 1993. As mentioned above the location was Rick Rubins living room, clearly professional recording equipment was used. The stripped down 'bare' feel of the official album release is also captured here on these wonderful intimate recordings.